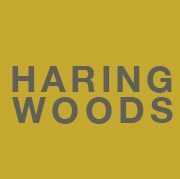 Under the creative direction of Michael Woods, Haring Woods and our previous companies Vantage Design and Vantage Productions and Events created designs for retail, restaurants and hotel interiors, exhibitions and conference, special events, fashion shows, parades and Christmas lights and lifestyle brands. City of Westminster, Cameron Mackintosh, Really Useful Group. Our 18,000 sq ft design studio and workshop in the listed Victor Mara building, on London’s South Bank, now transformed into Damian Hirst’s Newport Street Gallery. Coombe Abbey Hotel, No Ordinary Hotels, Coventry. Reception area, 64 individually designed bedrooms, two restaurants, the Abbeygate Banqueting Suite. One of a series of interior displays for Thomas Neal’s shopping complex, Covent Garden.